What kind of steering setup is needed for an SFA? I saw somewhere on here that Ford steer boxes work but not positive which model and what years are compatible. If I were to buy a Ford steering box, what else would I need? I found one in a Bronco II for pretty cheap, but not sure if it will work. 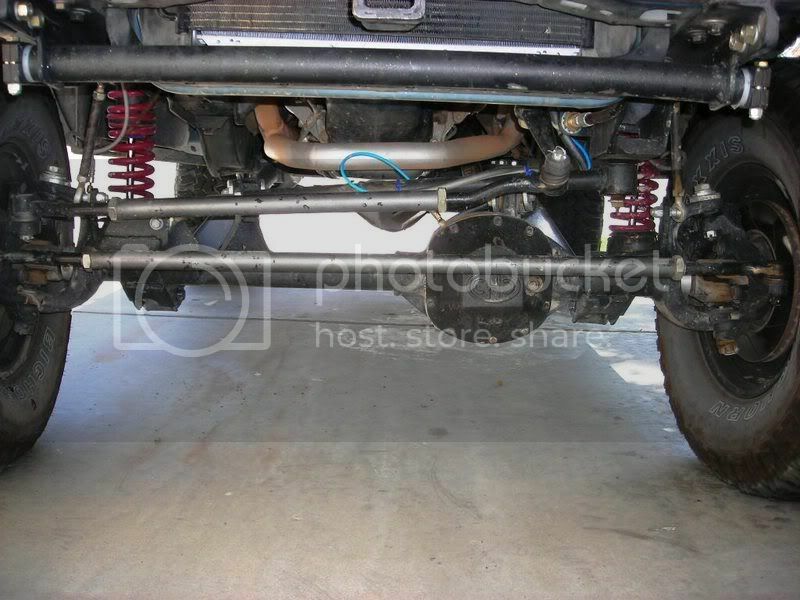 does a high steer knuckle just raise the point were the tie rods connect to keep them the same length? Any year Ford BroncoII or a '90-'91 F150-F350 steering box is all the same steering box,direct fit onto the KJ's OEM steering shaft.I'm also using a OEM pitman arm for a '91 F350 on mine(will be reamed to accept 1 ton GM TRE's),1 ton GM TRE's,high steer Crane D44 knuckles(passenger side only with high steer arm),and custom drag link/tie rod(1.25"x0.281" walled DOM tapped to 7/8-14 thread).Basically my drag link goes from the pitman arm to the passenger side high steer arm,the the tie rod is moved to the top side of the stock tie rod location for 4" more clearance(Crane knuckles already reamed for the flipped tie rod). So is $50 a good deal for a box out of a Bronco II? Make sure the sector shaft seal is good. Will do, so assuming the seal is good I'll pick it up then. 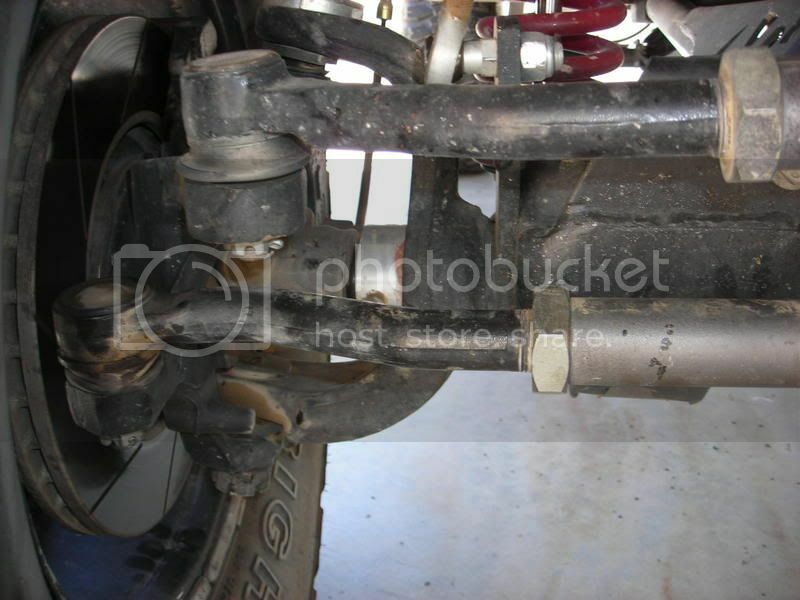 Nope,the KJ comes OEM with a rack and pinion steering box,basically has the tierod and drag link all intergrated.The older style steering uses a recirculating-ball steering box that requires separate drag link/tie rod. Would this be a pretty good setup if using the hpd30 in our KJs??? 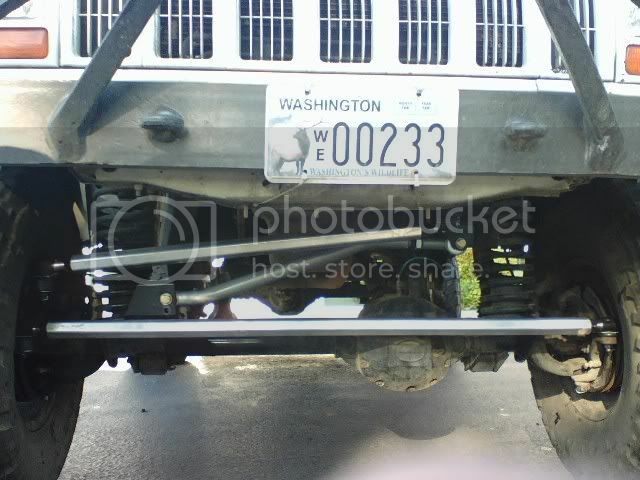 OME-Rancho-Rusty's Lift, 15x7 Soft 8s w/ 31x10.50R15 BFG KM2s-Need to sell!!! When you say you have the "knuckle," that means you have just the one knuckle thats different from the other? Can we please get pics of every SFA's current steering setup along w/ parts used, etc? WJ Knuckles w/ TRE's flipped on top for high steer.